Annie Carpenter has been practicing since 1975 and teaching yoga for over 25 years. Her teaching has evolved into an intelligent, organic SmartFLOW, reflecting her love of both juicy movement and rigorous discipline. Known as a "teacher's teacher," she leads 200- and 500-hour teacher trainings, and teaches yoga asana, pranayama, and meditation at Exhale Center for Sacred Movement in Venice, California and is a member of the teacher training faculty at Yoga Tree. 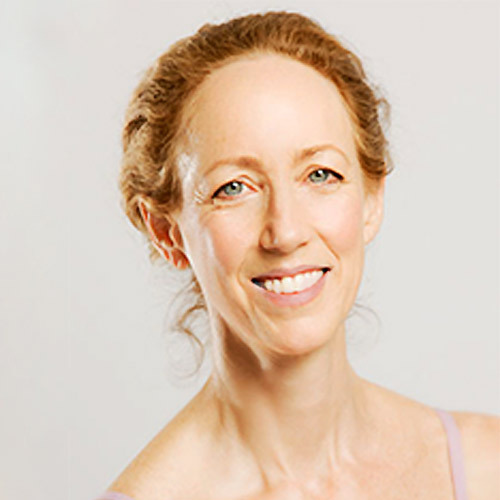 A former Martha Graham dancer Annie has studied anatomy, kinesiology, and developmental movement; her classes are informed by the body's structure and evolution. Annie's classes integrate intensity, intelligence, laughter, and love. She is the author of the CD “RelaxDeeply” and the DVD “Yoga for Total Back Care,” and a regular contributor to Yoga Journal. Learn more at anniecarpenter.com.